Immaculate property ...New upgrades...Fresh Paint -Tile with wood look throughout this roomy 2500 SQ FT Home! 3 bed, 2 bath + den/office with a Large incredible backyard designed for entertaining! Mature Landscaping - Roses and more Roses! Not to mention a finished 3-Car garage as well. The master bedroom has walk in closet, and double sink. The spacious kitchen has granite counter tops, island bar, stainless steel appliances, gas range stove, a pantry, and a built in desk as well. And a Bonus - eat-in area or family area off kitchen! PLUS -You will save more than half of what your neighbors are paying for electricity -Solar w no extra fees - BIG Savings!! 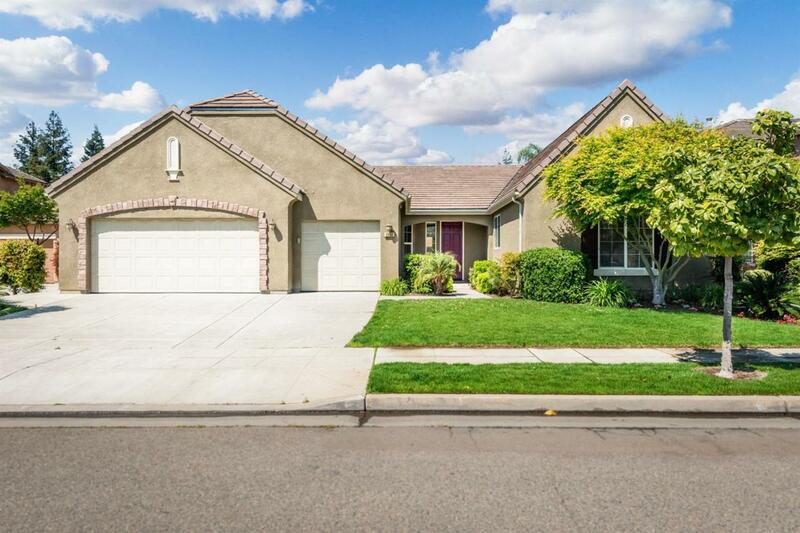 Walking distance to Freedom Elementary -Clovis School District -as well!